Hey everyone! Welcome to the Haxagon thread! If you are not at 38A's Discord it's probably you are not aware of Haxagon. If that's the case let me do a little introduction. Download the Haxagon zip file and extract its contents. 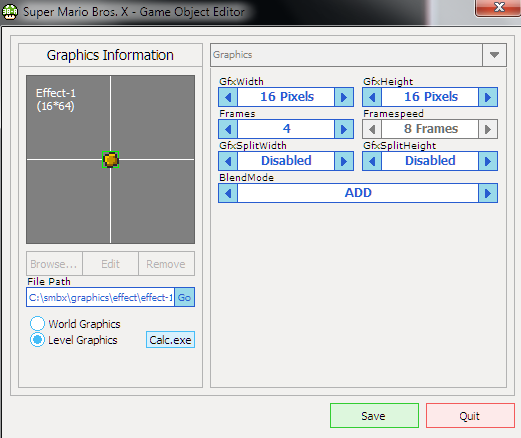 Open SMBX 38A's level editor. Open 'HaxagonInjector.application' and run it as administrator. Accept installation and permission questions. Once it is open, you will see a window that will hack into SMBX. Give it a moment and soon a menu will popup. Go to the '1.4.3 [EGG] Unlock Easter Egg Console' tab and unlock the console. To unlock the minigames, go to the tab called '1.4.4 [EGG] Dump all private keys`. Select it and make sure it says 'Unlock minigame 1 to 13' and click 'Dump Private Keys'. A list of codes will appear in the text box below. Copy and paste this into a text file. 8A) Restart SMBX. Go to the easter egg console menu and go to menu 3 "Unlock hidden functions for free" then menu 1 "input private key to unlock hidden function". Input all of the private keys one at a time. The private keys are in order already so the first private key will be RegCode1=[PrivateKey] etc. Restart SMBX and you should have all of the minigames unlocked. What are the hidden features and where are they located? 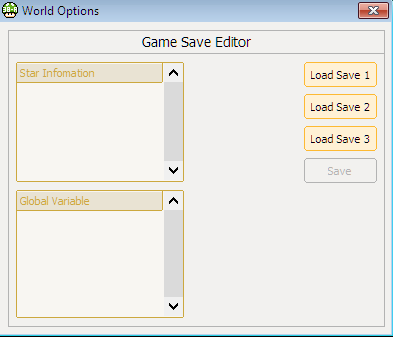 I will divide this subject into two: Level Editor and World Editor features. 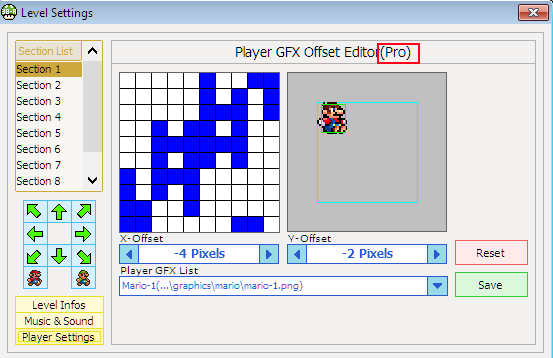 Player's GFX Off-set (Pro). There is already a default function of this feature, but note that it's the Lite version. 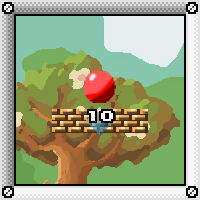 This version lets you move the frames of the player like if you were doing with any sprite editor. Instead the Pro version let's you move the player's hitbox to your convenience, in other words, calibrate it. To find it go to "Level Settings", press "Shift" key and click "Player Settings". 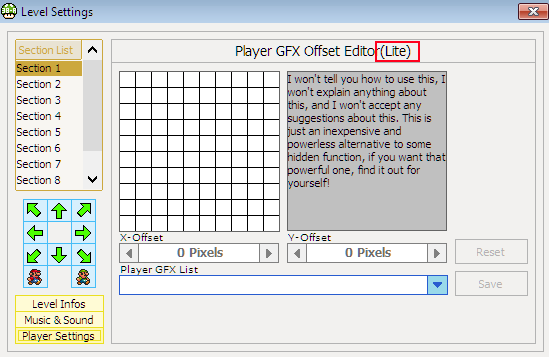 If you did it right you should see the word "Pro" in parentesis instead of "Lite". 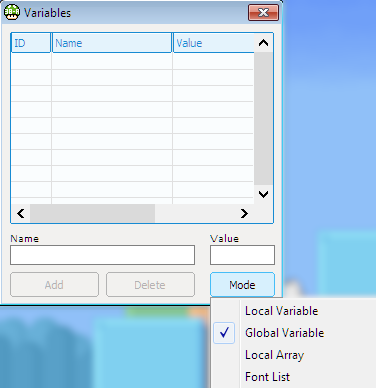 Arrays variables: As the name suggests, this function is for use arrays. To find it go to View > Variables > Mode > Local Array. To find it go to View > Variables > Mode > Font List. Colouring messages: Put any colors to the letters or your messages using this functions. However, in order to use colors you should do it through events, not with the NPC's message boxes. To find it go to Events > Others and you should see a button with the "C" letter next to the message box. 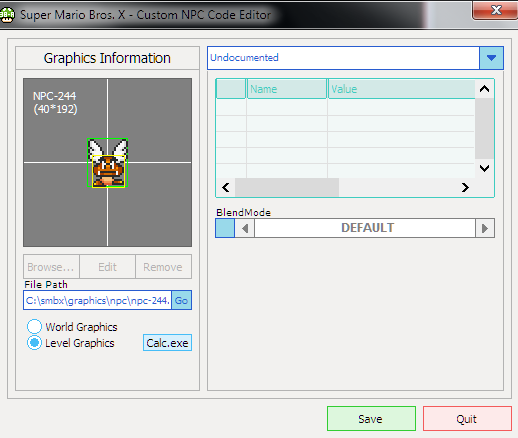 Blendmode for NPCs: Select between "Add", "Add + Alpha", "Revsubtract" and "Revsubtract + Alpha" modes. To find it right-click a NPC in the NPCs tab and go to "Undocumented". Blendmode for Effects: Available modes are the same as NPCs. 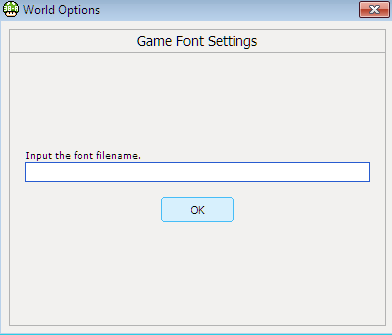 Game Font Settings: To use a custom font for dialogues. 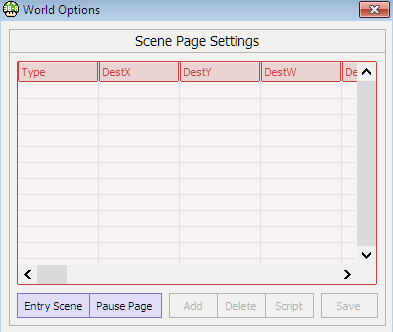 Scene Page Settings: To modify Entry scene and Pause Page. 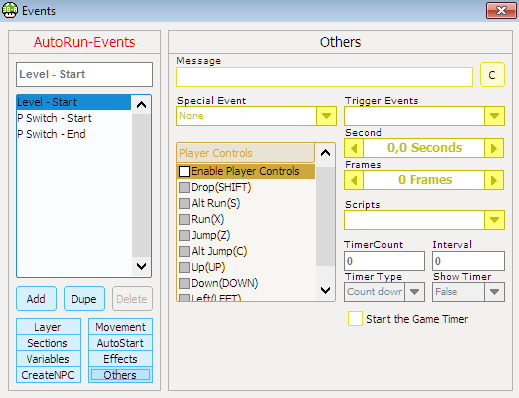 Game Save Editor: To load a save file of your episode and modify availale paths (takes effect when you are playing). You can also check Star and Global Variable infos. 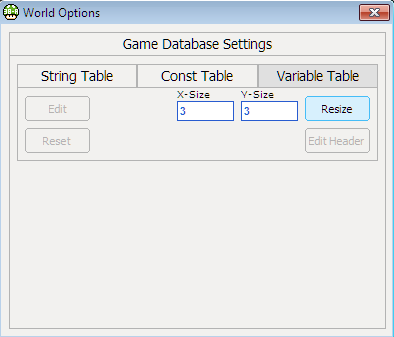 Game Database Settings: To create/edit tables (String, Const and Variable tables). Map Packaging: Adds an additional function to compress an episode into an executable file (.exe). So that you don't need the SMBX standlone to play an episode. Midi converter: To convert a .midi file into Tea-Script commands (The level "Castle in the Sky" uses this function). To find it open the Easter egg console and type "midi" (without the quotation marks). NOTE: The Feature 13 is the blendmode for background objects. However, for an unkown reason Haxagon won't unlock it. If you've got any problem using Haxagon or questions about how to use it feel free to post them here. I will be updating the post as long we're getting new info about the program. So I can put any episode in an .exe? 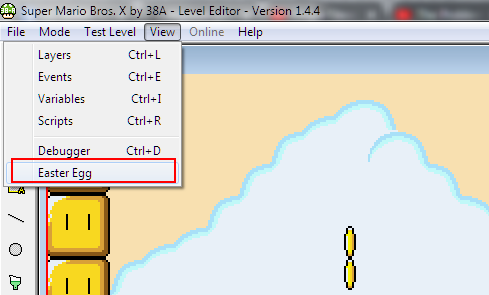 For example, can I do this for any SMBX 1.4.4 episode I'm playing?! If so, that means I can possibly have less lag while playing the episodes! Did you see the post 38A saids in the SMBX 1.4.4 Topic? EmeraldMaster777 wrote: So I can put any episode in an .exe? Yes, I tested this feature and it works fine. "Falled to find SMBX process!" Snoopy_Tour wrote: "Falled to find SMBX process!" Still nothing happened, SMBX 1.4.4 has been opened. 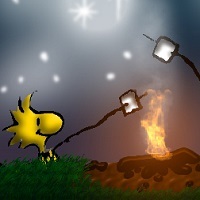 Snoopy_Tour wrote: Still nothing happened, SMBX 1.4.4 has been opened. Make sure that the process is called exactly "smbx"
Is it intentional that you need to re-insert newly generated private keys every time you restart SMBX? Edit: I have found out that it happens only occasionally. Does this happen for other users too? Yoshi021 wrote: Make sure that the process is called exactly "smbx"
Thanks for a lot, it works and success. May I translate this passage into Chinese and post it in BaiDu Bar (38A has already quitted that place and have no force to administrate)? Dry Bones wrote: Edit: I have found out that it happens only occasionally. Does this happen for other users too? Snoopy_Tour wrote: May I translate this passage into Chinese and post it in BaiDu Bar (38A has already quitted that place and have no force to administrate)? A weird thing happened. I tried Haxagon by following the steps, but when i was trying any new features, i got weird messages instead. Can you explain me what is this? EDIT: By the way there are some mistakes in the post. The function Blendmore for NPCs in unlockable after beating two minigames, meaning there are 14 hidden functions in total. I forgot to mention that there's an easter egg that unlocks more special events. I tried all over again and it's the same. Also it says "Go to the easter egg console menu", but where is that menu? Nothing happens, I followed every step but in the "View" switch there's no "Easter Egg Menu"